Pray with Purity! 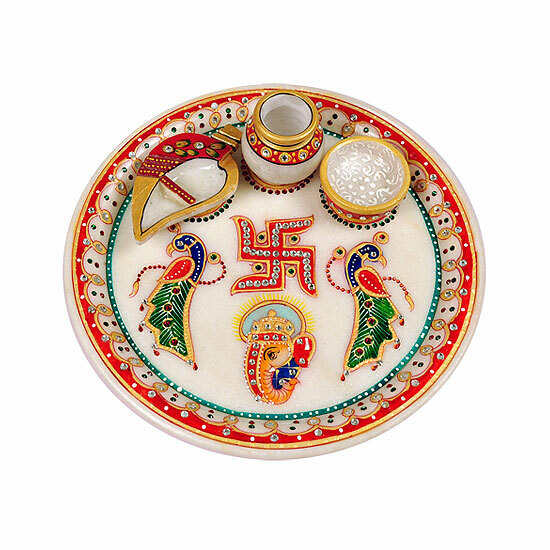 This white & red marble pooja thali is beautified with intricate hand painted designs in golden color.The Swastik in the centre are enhanced with white stones to add a brilliant touch to the thali. 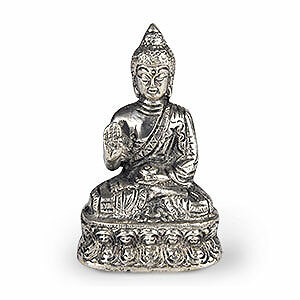 Comes with 1 Diya, 1 Chopra and 1 Ganesh Idol. 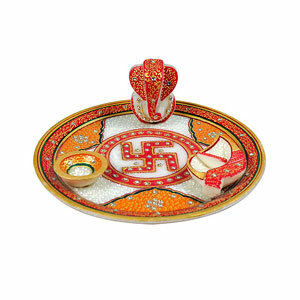 This Thali will make a great gift for house warming, weddings or any special occasion.. 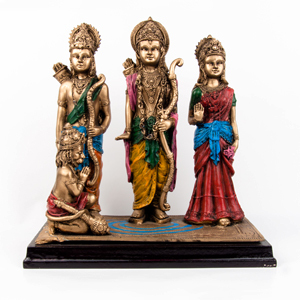 Choose this beautiful product from the Hosue of Aapno Rajasthan and enhance the beauty of your home and make your choice a cynosure for others. 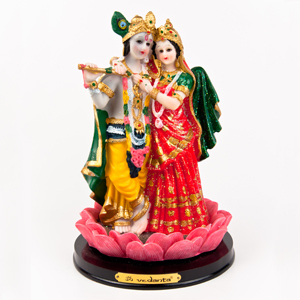 Aapno Rajasthan brings lot of decorative items and hampers to make memories cherishable and enjoyable.